I have bought a lot of fabric recently...... A LOT OF Fabric, and it is getting to the point where I have more stash than finished projects. Now I know to many that might not seem like a bad thing, whoever dies with the biggest stash wins right lol, but I really want to up the number of completed projects I have. So I have decided to go on a fabric diet. 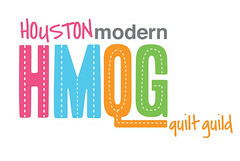 QuiltCon was especially detrimental to my pocketbook because I could see all the gorgeous fabrics I normally shop for online, up close and personal! I walked away with a fantastic haul of things, just a few are pictured below. On top of all the goodies I purchased, I also should mention my super duper awesome wonderful, but very expensive new sewing machine! It was a fantastic deal off the regular price, but still hefty. So! These are the rules that I am going to be giving myself, and I'm posting it here so you guys can hold me accountable! Call me out if I fall off the wagon please! Use at least 1/2 of my stash by July/August. This is going to be my check point for the year. Purchasing white/grey/linen etc. is allowed for background fabrics, but only if I do not have enough of something on hand. & As long as it is for a specific project. The purchase of backing fabric is allowed so that projects can be finished. I'll try to piece backing from stash if possible. I am giving myself one freebie and that is I am going to pre-order the Lizzy House Natural History line and the Tula Pink True Colors line next week when I get paid. Is anyone else going on a fabric diet this year? Oooh...I gave myself a similar challenge last year. :) I'm excited to follow how you do! You can do it!!!! Also, congrats on the new machine. I have the 7700 and enjoy all of the harp space it has. And it has wonderful lighting.